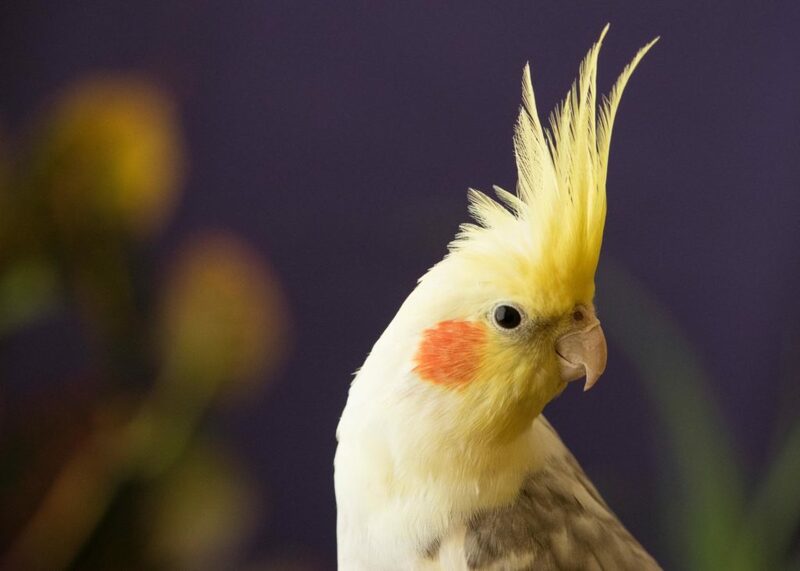 Our family adopted a cockatiel, James Bird, when he was a baby. He instantly imprinted on my six-year old son and me; we were family for life. He loved to mirror our sounds and volume with loud chirps while he rode on my son’s back as if he were a pony, my son shouting with glee. But when my son was at school and I was calm, James’ excited chirps disappeared as he relaxed on my shoulder, bright yellow like a big banana. Perhaps that’s why James made the best meditation partner, for he matched my quietude. I relished our peace, relaxation and satisfied togetherness. Was it only mimicry on his part, or was something deeper going on? I study meditation with two Tibetan lamas who loved James Bird. When they visited me, they enjoyed sitting with James, one at a time, chanting mantras to him, to ensure a better lifetime in his next incarnation. I’m not sure if I believed in reincarnation, but I deeply appreciated their heartfelt caring. So, apparently did James. When the lamas attended to him, James raised his wings and held them stationary, outstretched in a flight position. As he stared at the chanting monk, slowly his head would lower, bowing. He raised his head again for several verses of the chant, then he bowed again. He only did this for the lamas, no one else. Holy bird. He seemed to register the reverence the monks shared with him. I meditated with James for twenty-one years and felt privileged by his company. For countless hours, he perched on my shoulder, head tucked under his wing, eyelids half-closed. When becalmed, he fluffed his feathers out, a peaceful puffball. Even though he’s in birdy heaven now or perhaps reincarnated, I still experience his presence in meditation, sometimes so strongly, I am moved to tears. I relish the times I am in touch with him when I’m quiet in mind and spirit. Perhaps our roles are reversed; he is a birdy lama to me, inspiring me in my meditations.